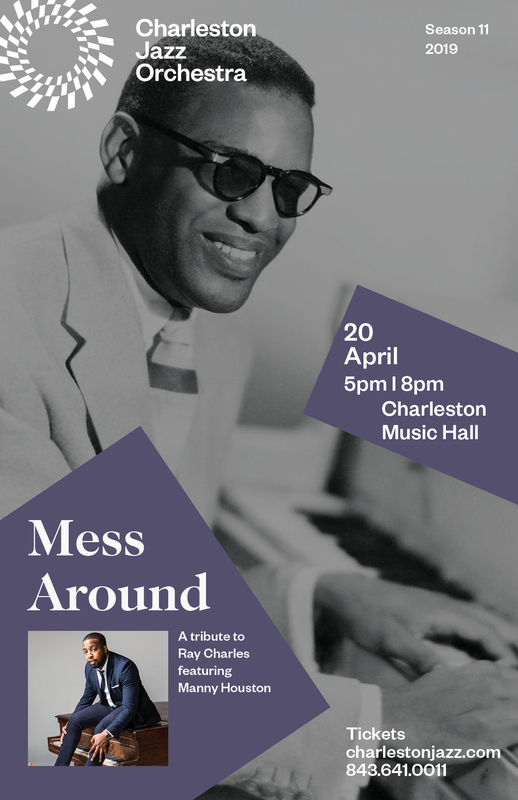 Charleston Jazz presents Mess Around: A tribute to Ray Charles featuring Manny Houston on April 20 at the Charleston Music Hall. What’d I Say, Hit the Road Jack, Georgia on My Mind and Mess Around…were just a few of the treasures recorded and performed by Ray Charles. Known as the ‘Genius of Soul’, Ray pioneered the soul music genre during the 1950s and ’60s by combining blues, jazz and gospel styles. The CJO welcomes vocalist Manny Houston to celebrate this American icon. Originally from Greenville, SC, Manny has starred on many stage and show productions including his own highly acclaimed piano singer tribute at the Charleston Music Hall. For tickets and more information about this and other forthcoming CJO events, click here.